I have finally gotten the Advent candles burning at our house and I must say, they are such a beautiful sight at the dinner table. Doesn't candlelight make everything lovelier? KC (3 1/2) is really understanding Christmas this year. He loves to see "his" ornaments on the tree and loves reading all our favorite Christmas stories. 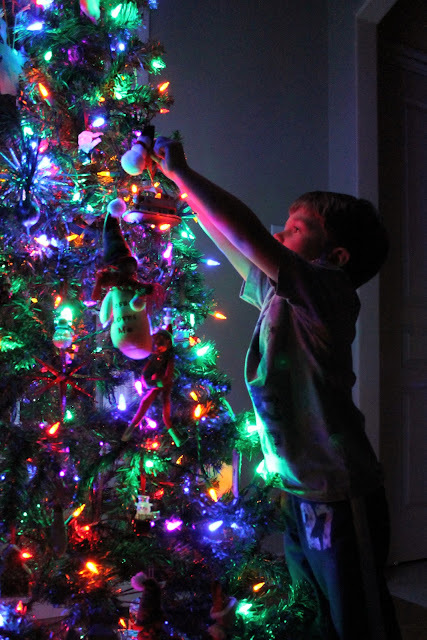 Having young children keeps the magic of Christmas alive. ZJ (8 1/2), our middle son, is so full of humor and wit. He is always making us laugh and bringing joy into our lives. We are thankful for his unique spirit. I am a little embarrassed to share these doodles with you. I joined an on-line class for December called Doodle 12.31 in which we are guided through making a holiday doodle journal. As could have been predicted, I have had little to no time to doodle lately. 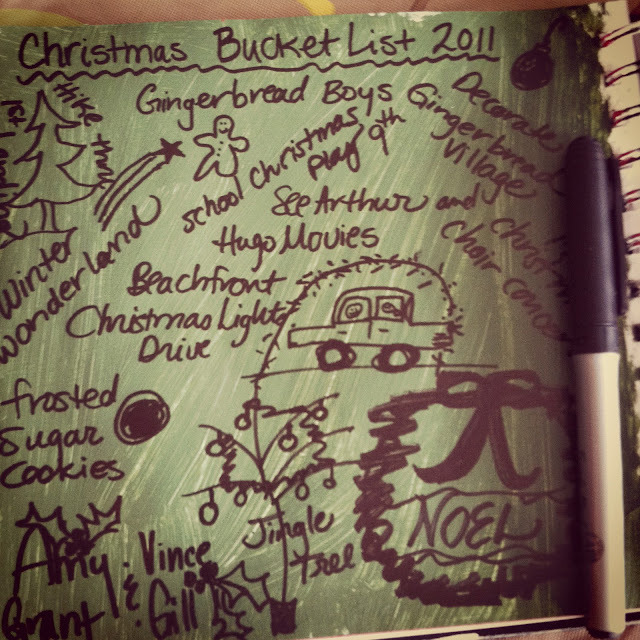 This page is the best I could do one night, my Christmas Bucket list. What's on your holiday bucket list? Lovely Advent candles! We eat by candlelight most nights during Advent, the children enjoy seeing the increase in light from week to week as the Lord's birth nears. Your doodle bucket list is adorable-- I'm tucking this idea away for our family for next year! Candlelight makes everything lovelier, yes! I miss it when we don't have dinner at the table. Your ZJ is just precious.... :) Happy Peace and Blessings to you. I've never heard of a doodle journal, but it looks like a great idea. I love the candles at dinner time too. Nice photos, Misty. Your doodles have a certain artistic appeal in themselves, I think! I loved your post. I love this time of year and it's obvious you do too. I love the bucket list idea. What a fun way to make a to do list. I think we should make a Christmas 'bucket list' too- the season goes by so fast!